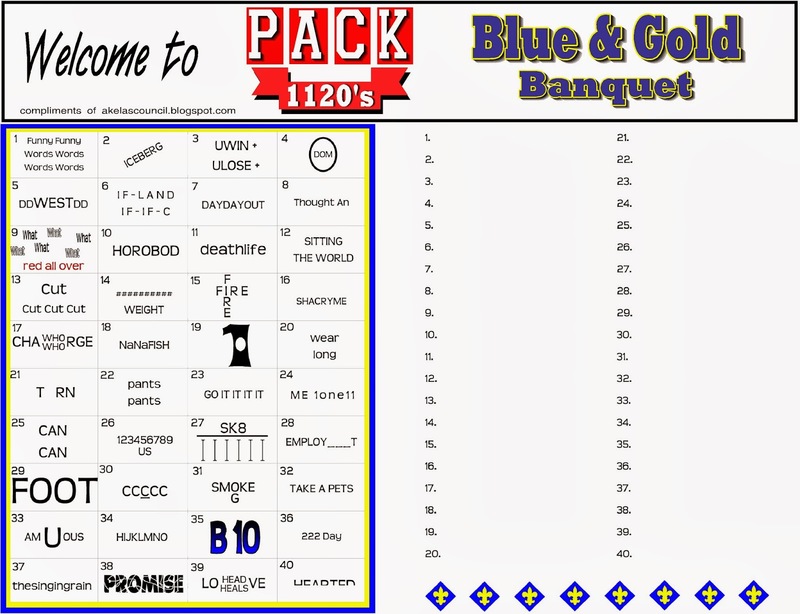 I made a new placemat this year for the Blue & Gold Banquet. 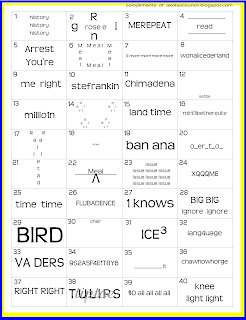 This is a different rebus puzzle than the one I uploaded 2 years ago. If you used that one another time, this one is safe to use for this year! This would be something everyone could work on while they were waiting for the Blue & Gold Banquet to start. It is a great thing to use to get everyone talking. Don't you hate all the awkward silence at the table while you wait for something to happen? This way they have something that is easy to talk about and carry on a conversation while doing it. Hope you enjoy it! It is ready to print and add your pack numbers to (you will probably have to add your pack number in black). I have been on this site for an hour so far. I am trying to upload blue and gold banquet placements and they won't go. I printed the answer sheet just but the puzzles and coloring mat won't upload. I really need them. Thank you so much! 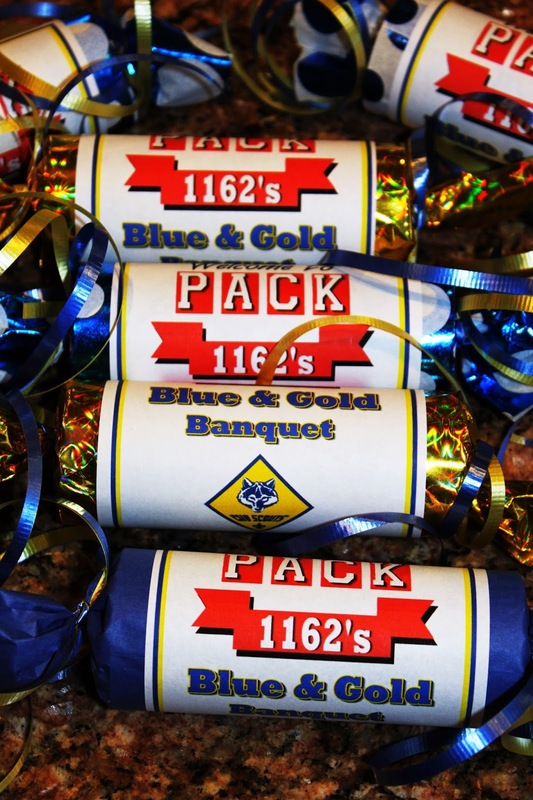 This is my boy's last Blue & Gold and this was so helpful to make it special. I hope I've done this right - I clicked on the click here, then downloaded. I am still hunting for a template for the program but I'm very glad to have the placemat ideas! I want to be sure the blog gets the money for my visit. It is difficult to click to print and edit these worksheets. loading error keeps coming up. I love the ideas here but cannot use them for my Pack Blue and Gold. I do have your ideas to expand and create something more unique for our council to use.